Horseradish Garlic Mashed Potato Seasoning - 1 tbsp. Arrange a thin, even layer of the rutabaga slices across the bottom of the dish. Sprinkle with a pinch of thyme, salt and pepper, then dot with tiny pats of butter. Arrange a thin, even layer of turnip slices over the rutabaga. Sprinkle with thyme, salt and pepper and dot with more butter. two-thirds full and all the vegetables have been included. Season the bread crumbs with Horseradish Garlic Mashed Potato Seasoning, salt and pepper and spread over the vegetables. Pour the combined chicken stock and cream over the bread crumbs; press down on the bread crumbs gently to absorb the liquids. 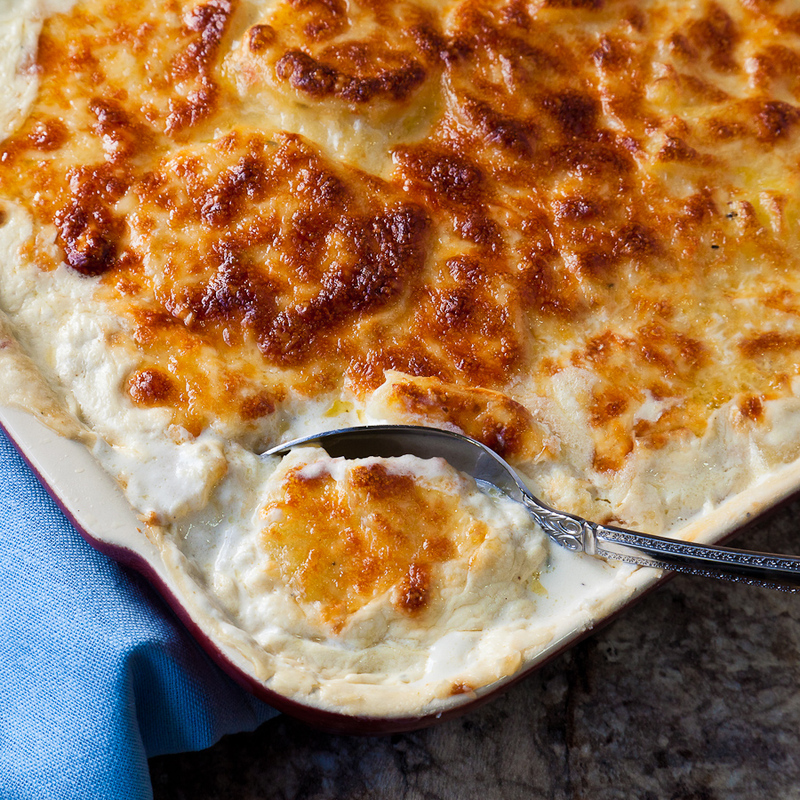 Bake until the gratin is golden brown and the vegetables in the center of the dish are tender when poked with a fork, about 35 minutes. 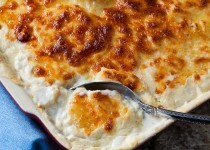 Remove the gratin from the oven and let rest for 15 minutes before serving.